Given their extremely isolated location in the South Pacific and difficulties of access, the marine habitats of the Pitcairn Islands are some of the least known ecosystems of the UK’s Overseas Territories. However, the waters of Pitcairn are under increasing pressure from commercial fishing fleets. The Secretariat of the Pacific Community (SPC) has proposed that the Pitcairn community develop commercial reef fisheries for export to neighbouring Mangareva in French Polynesia. At present, there is not enough scientific evidence to make informed decisions about how to manage these valuable marine resources sustainably. In September 2013, ZSL, in partnership with the University of Dundee and Sea-Scope, began a three-year Darwin funded project to underpin the scientific evidence-base for Pitcairn’s marine environment. The project will result in a management plan for Pitcairn’s waters that is ecosystem-based and sustainable. Working with the Pitcairn Island Community and the UK government, the plan will be used to inform and enhance tourism opportunities and increase global awareness of Pitcairn’s incredible marine biodiversity. 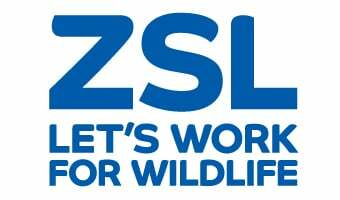 Additionally, as leaders of Great British Oceans ZSL is working for the designation of the Pitcairn Marine Reserve. In September 2016, Foreign Office Minister Sir Alan Duncan, announced ahead of the Our Ocean Conference that the government would be investing £20 million to double the area of ocean under marine protection around the Uk Overseas Territories. This decision will bring the, now fully protected, marine reserve to around four million square kilometers - greater than the landmass of India. Heather Koldewey is the ZSL lead for the Pitcairn Islands project. Ana Pinto, Discovery and Learning Outreach Officer, is supporting the outreach components of the project. Fiona Llewellyn coordinates the activities of Great British Oceans and ZSL’s support for the proposed Pitcairn Marine Reserve.